Gennady Zyuganov, the leader of the Duma's Communist parliamentary group, says that his party firmly supports the Russian Senate's approval to use the country's armed forces in the battle against ISIL, adding that given the problems the US is facing in its war against terrorism, it should consider lifting its anti-Russian sanctions. Speaking to Sputnik, Zyuganov emphasized that he has "always advocated active support for Syria. If we give up Syria, the Islamic State will seize a huge territory. And then all of the southern underbelly of Russia may become inflamed in conflict. There will be millions of refugees, not the hundreds of thousands [that exist now]." The politician stated that support for Syria is "of fundamental importance," given that Syria is Russia's strategic ally, and has an effective leadership and army which have waged a war on terrorism for over four years. Emphasizing that the Communist Party fully supports the Senate's decision, Zyuganov cautioned that Russian ground troops must remain out of the question. The Senate decision did not include such a request. Russia, in Zyuganov's view, should "extend all kinds of support, all forms of military information, intelligence and reconnaissance capabilities. I believe that we have already created a coalition together with Syria, Iran, and Iraq. A new information center has been opened in Baghdad. And we must increase training operations and a whole host of other things." "And, of course, we must also negotiate –to expand the coalition," the leader noted. "I think that President Putin's two hours' worth of discussions with Obama were not for nothing, even if only now has it become clear what it was they agreed upon. Perhaps after this there will be fewer sanctions, because the Americans have realized that they cannot cope either with the Taliban or the Islamic State, and this is a real danger for them." Zyuganov believes that events have shown that the US has sharply shifted its position on Syria, but warned that Moscow must remain 'vigilant' in its relationship vis-à-vis Washington. "They do what is advantageous for them. If they find the need to cozy up to Iran, they will do it. If not, they will choke them. Here we must be vigilant and attentive. At any rate, Washington continues to look to create its so-called Trans-Atlantic and Trans-Pacific Partnerships (TTIP and TTP), where we clearly have no place. They are pushing us out of Europe, and creating additional difficulties for China in Asia. This is their future strategy." "Today," Zyuganov noted, "when the US sensed that huge oil and gas reserves could fall into the hands of terrorists, who will not use them in the ways that the State Department might like, this frightened them. Now they are looking for a way out. Without Russia, no issue in the Middle East has ever been resolved." The Communist Party is Russia's second largest party and largest opposition party, with 92 seats in Russia's 450-seat lower house of parliament, the Duma. 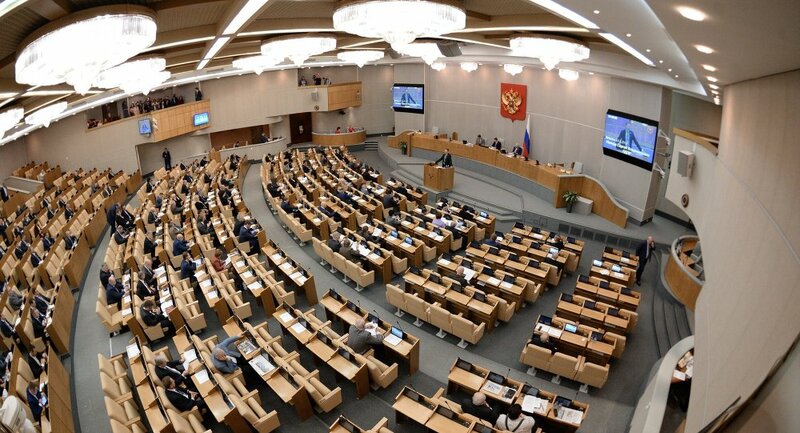 On Wednesday, Russia's upper house of parliament, the Federation Council, also known as the Senate, approved the use of the country's armed forces abroad. The decision included only the use of the Air Force, and does not foresee any operations involving ground troops. The move was explained as a response to a request by Syrian President Bashar Assad for Russian military assistance, in order to fight terrorism and protect Russian national interests.